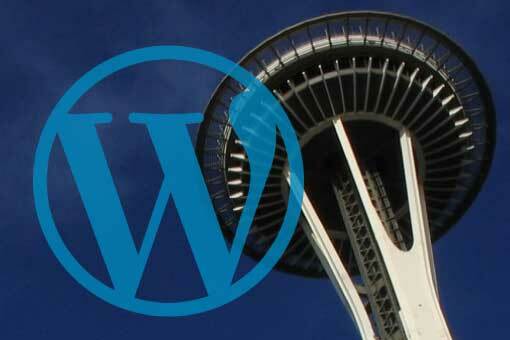 Seattle area businesses that are looking to set up a website with WordPress have lots of options to consider, from building it themselves to hiring a professional WordPress developer. In this post, we’ll share some of the things you should think about if you’re considering the Do It Yourself route; and you may discover that it’s not quite as easy as it sounds. One of the cool things about WordPress is that you can upload a pre-built theme that displays images, posts, pages and sometimes specialty content and all you have to do is add the text and pictures. Of course, nothing is quite that easy. First, there are thousands of themes to choose from, yet most of them are for blogging and unsuited to business. Searching Google or a theme store such as WooThemes.com or ThemeForest.net is your best bet for finding a theme suited to your business. You could also check out the new theme index called “There is a theme for that”, which offers an easy search experience so you can quickly view multiple themes from over 100 companies. Make sure that the theme supports branding options, such as adding your logo and adjusting theme colors to match. Buying a premium theme may pay-off in the long run with support that is lacking on a free theme. Once you’ve selected a theme, don’t expect to publish your site immediately. It’s possible that the ideal theme is waiting for you; a theme that is so perfectly suited to your business that you’ll simply add content, push the publish button then sit back as your phone rings off the hook with orders…but it’s unlikely. Themes are generic in nature, authored by someone who doesn’t know what you are selling, what is special about your business and what action you need visitors to take. To get the most from your website, chances are that you’ll have to make changes. The WordPress plugin repository, as well as premium plugins, may provide some of what you need, but that won’t help when it comes to styling or creating custom functionality. The only way to get truly customized is with expertise in WordPress and the various programming languages it uses, including HTML, CSS, PHP and jQuery, not to mention dealing with MySQL databases, hosting providers, domain management, email and other technical matters. If you aren’t an expert already, plan on taking a year or two for some intensive study. Otherwise, you’ll have to turn to a Seattle WordPress developer like AIM to help you get just what you need. That’s fine with us, of course, but it’s not so much DIY. If you’re considering the DIY route, chances are you feel confident in your ability to create messages and content. You’ll also need to be up-to-date with ever-evolving search engine optimization strategies and tactics. Even more important on today’s Internet is how you integrate social media and share with invested communities. If you understand online marketing, user psychology and expectations, and how to promote your brand online then DIY may indeed be a good fit for you. So you’ve come this far and you’re determined to do it yourself. Take a deep breath and relax. It’s not as bad as it might seem because there are extensive free resources available to WordPress users beginning with the WordPress codex–a project that documents how WordPress works and how you can get the most out of the platform. A simple Google search for most questions pertaining to WordPress will return at least one codex page. Digging Into WordPress is another website I’d recommend, and the for-sale PDF is a better investment than any of the print books I’ve seen that cover WordPress in general and in-depth. 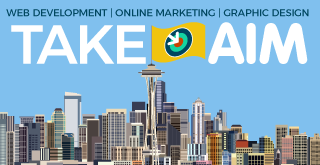 In the Seattle area, you can also find WordPress coaches, development companies such as AIM that offer extensive training, meet-ups of all kinds and the annual WordCamp Seattle, where Pressies from all over the region congregate to learn and mingle. One word of caution, however; since so much has been written about WordPress online, and since WordPress, the Internet, search and social media are changing so rapidly, you need to be careful about applying what you read. More recent articles should contain information that takes into account recent changes, and authors that have a long history writing about WordPress tend to be the most reliable. The best check, however, is to talk to a pro or test what you’ve learned on a small scale before applying it to your website. In the end, DIY may be cheap in terms of dollars but it won’t be cheap in terms of time. WordPress is an excellent platform, and many of its features are easy to learn, but putting together all the pieces required to build a professional website that adds value to your business takes time and knowledge. If you don’t have the knowledge already, you’ll have to budget in the time required to learn what you don’t know. You could spend hundreds of hours developing a website and still get it wrong. So you need to ask yourself, what is your time worth, and can your business afford the time it takes for you to get it right? Who is a good fit for DIY? In the end, I would recommend the DIY route for businesses that already have online marketing expertise, including a good writer, and someone who has experience working with WordPress and social media. In the Seattle area, with so many high-tech professionals around, you may already have resources available. But without these basics being covered, even a “free” website will seem like a waste of money.